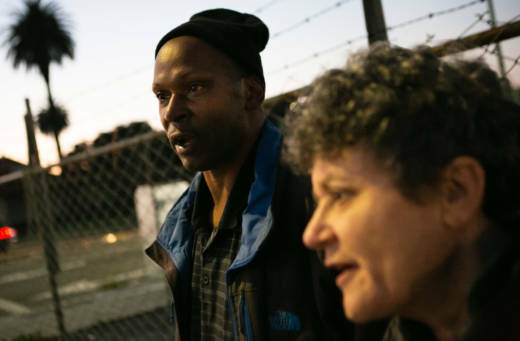 It’s before sunrise when Brenda Goldstein and Eddie Heard head into the cold under an Oakland freeway and start counting the tents and homeless people they see. Every county that receives federal funding for the homeless is required to go out every two years and count homeless people during one day in January. Alameda County tried something new in 2017: paying people who have been homeless themselves to guide volunteers. Goldstein and Heard never met before Tuesday, Jan. 31, the morning of the homeless survey. Goldstein works at a community health center. Heard runs concessions at the Oakland Coliseum. Goldstein has been a volunteer on several previous homeless counts, but she's never had a guide before. 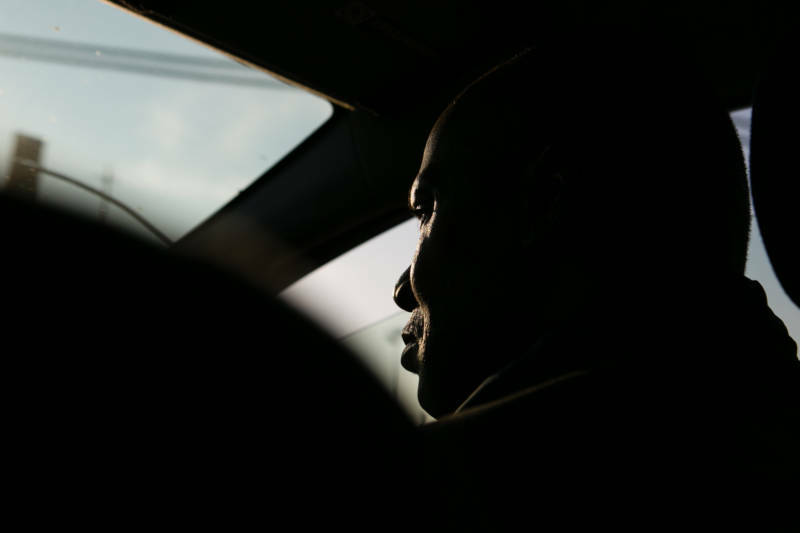 Heard has special expertise: Two or three years ago, after separating from a longtime partner, he became homeless. "I lived just like place to place, like you know, with family members and hotels and stuff like that," Heard said. Heard is in transitional housing now. He and other guides are getting paid $15 an hour to help with the count. He helps Goldstein when she isn't sure if there’s someone sleeping under rolled-up blankets or make-do tents. "Eddie’s really, really helpful," Goldstein said. "He's kind of the reality check for me. When I look at a tent, he says, 'That's going to have at least two or three people in it.' I have a lot more confidence going out with him, too, knowing we’re looking in the right places." Alameda County officials expect to get a more accurate count using homeless guides during the 2017 Point-in-Time Count. 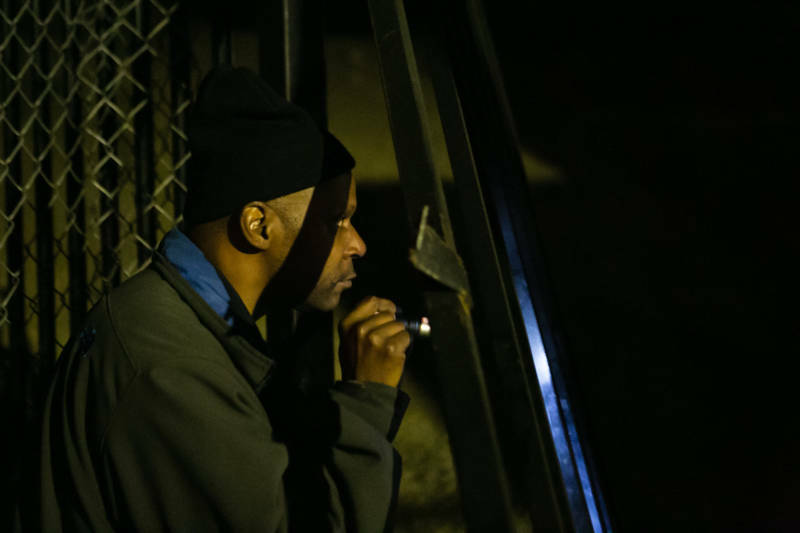 It's a strategy some other counties already use, but in past years Alameda County sent volunteers to sites where homeless people get services, and used surveys to estimate how many people are homeless. For the first time this year, they're trying to cover every block, so they’ll know how many homeless people are in each city, even down to the census tract. Roughly 150 guides and more than 400 volunteers have been enlisted in Alameda County, according to Elaine de Coligny, executive director of EveryOne Home, an organization set up by the county to coordinate efforts to stop homelessness. The guides will be conducting surveys over the next two weeks with homeless people to get more information about how they became homeless, how long they’ve been homeless, their health and other issues. During the last count in 2015, volunteers estimated 4,040 people were homeless -- 2,397 of them without shelter. Heard thinks that number is probably low. 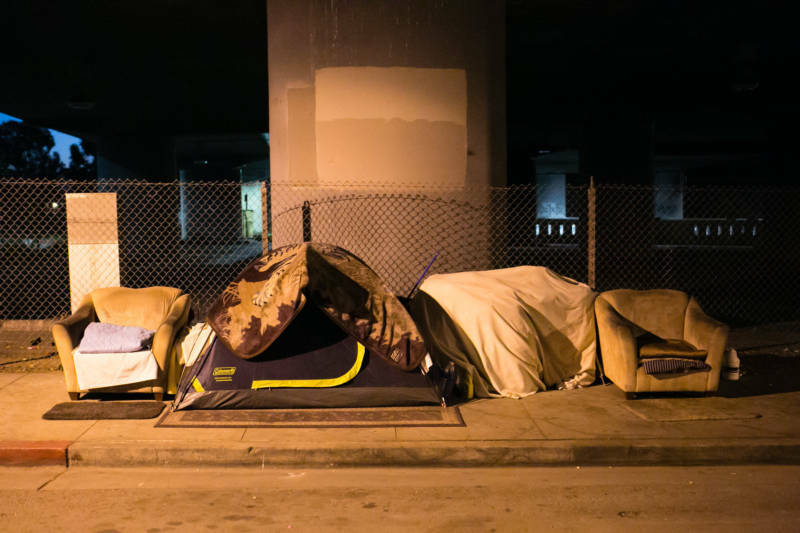 "We’ve already identified about 47 people living in homeless encampments," said Goldstein, "just along the freeway, just one tent after another." And that was just in the first hour. 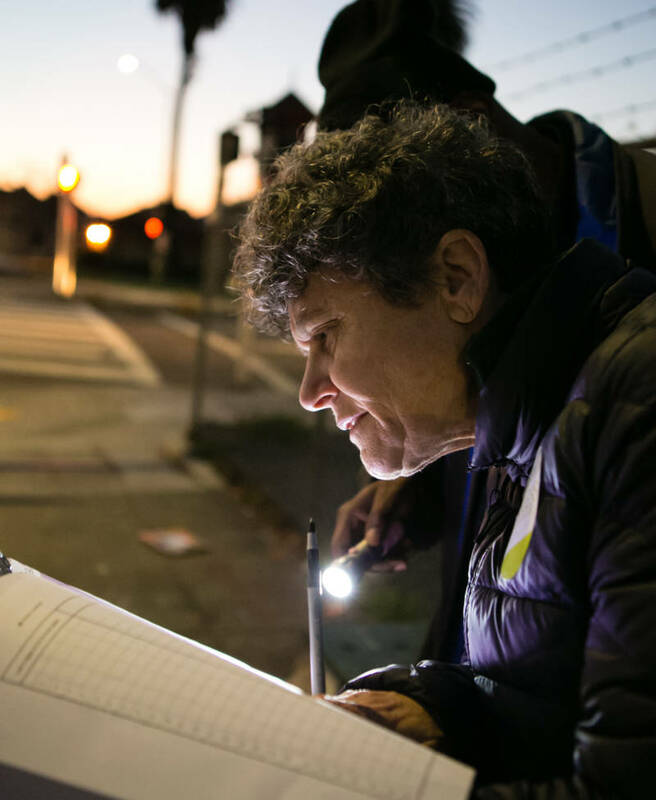 They have to cover two whole census tracts, so they spend hours in Goldstein’s car, peering into corners and doorways, and getting out to walk under bridges and overpasses. The numbers for this year's homeless count will be available this summer.